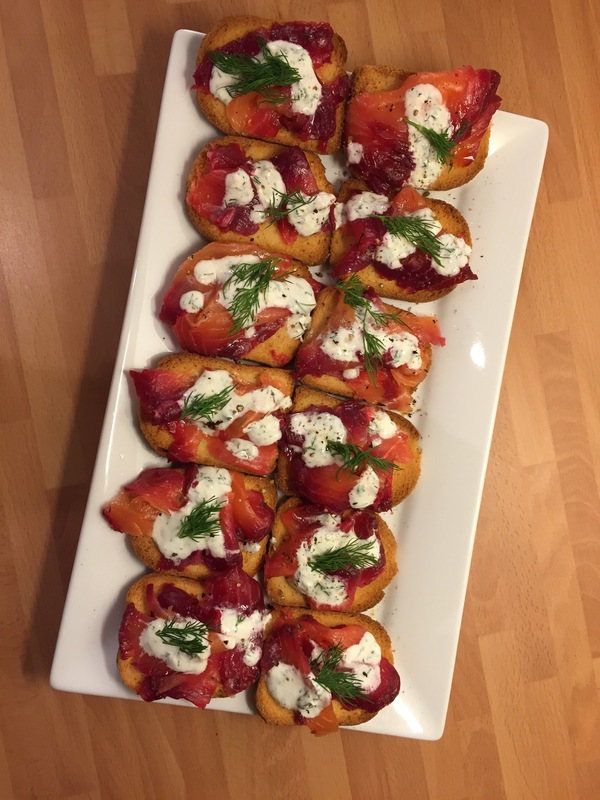 Again drawing inspiration from Diana Henry’s book Salt, Sugar, Smoke I thought I’d make some beetroot cured gravlax for a dinner I was hosting for some friends. Instead of vodka I used a little gin for the cure, this worked really well as the botanicals added some subtle flavour. 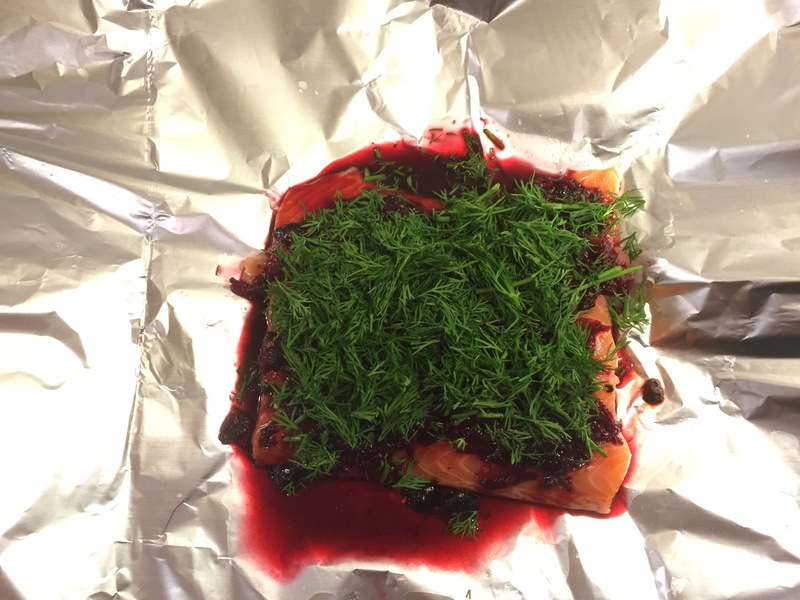 I grated the beetroot mixed it with the cure and then covered the salmon with it, adding chopped dill to finish. 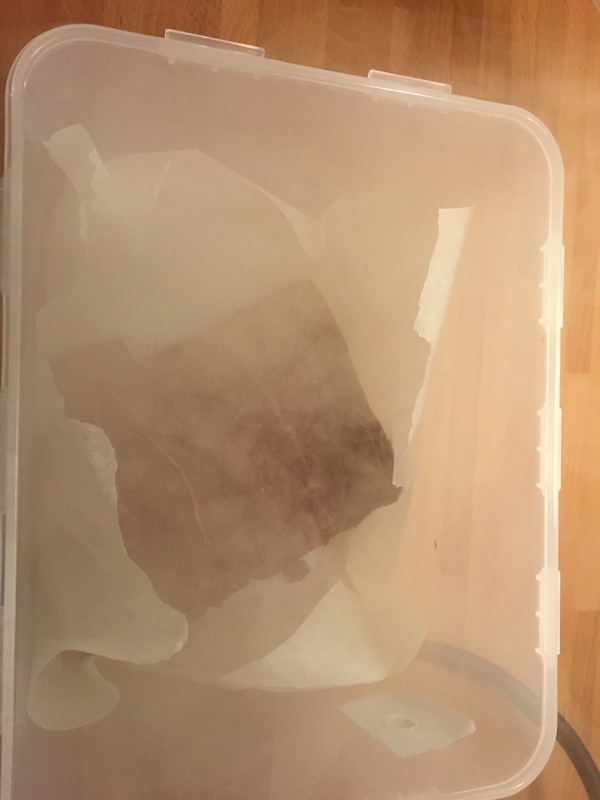 Then I wrapped it, weighted it and left it in the fridge for three days, turning it over every day. 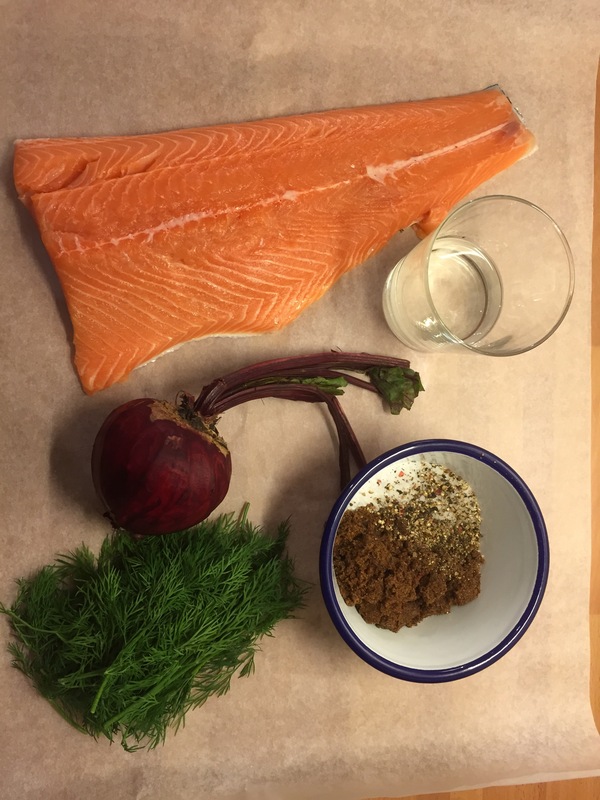 After the cure the salmon had taken a fantastic deep red colour from the beetroot. 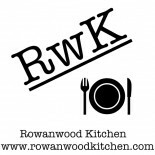 To add a smoky finish I used my latest kitchen gadget ( the smoking gun) to add a light applewood smoke taste. Then all I had to do was thinly slice and serve. We had the Gravlax with some wine before the meal started. I simply put it on some French toasts with a horseradish and dill sour cream sauce. The taste was great, just a hint of beetroot and smoke and not to salty from the cure. This looks amazing. 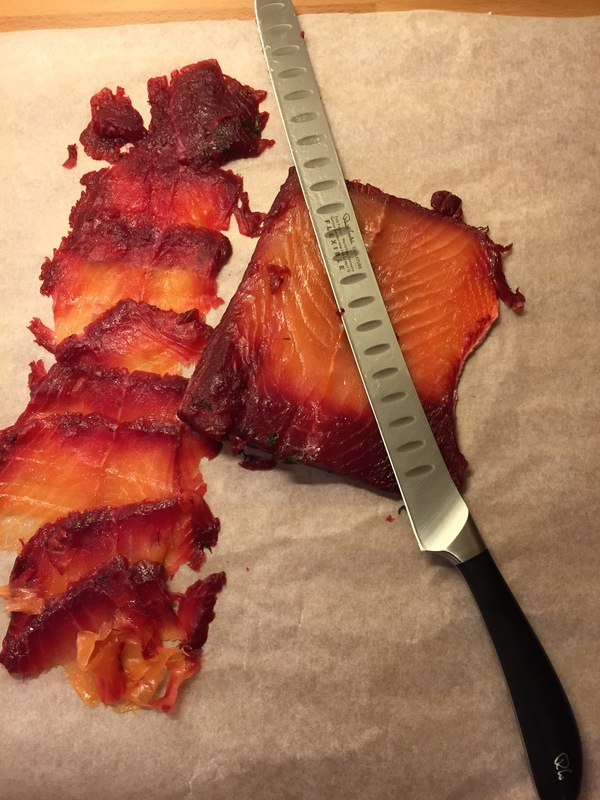 I love smoked salmon but have never had it cured with beetroot. Great idea! 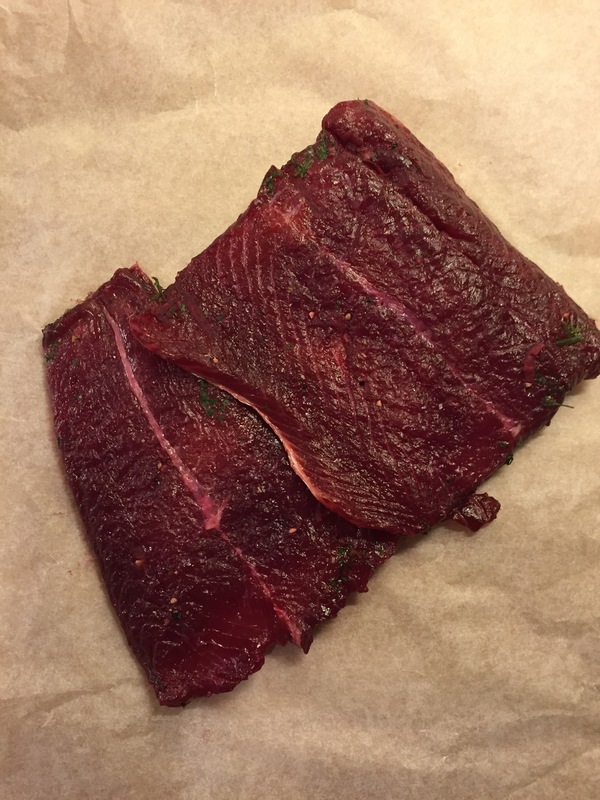 This entry was posted on December 10, 2014 by paulb in DIY Food, Fish, Preserving, Products.